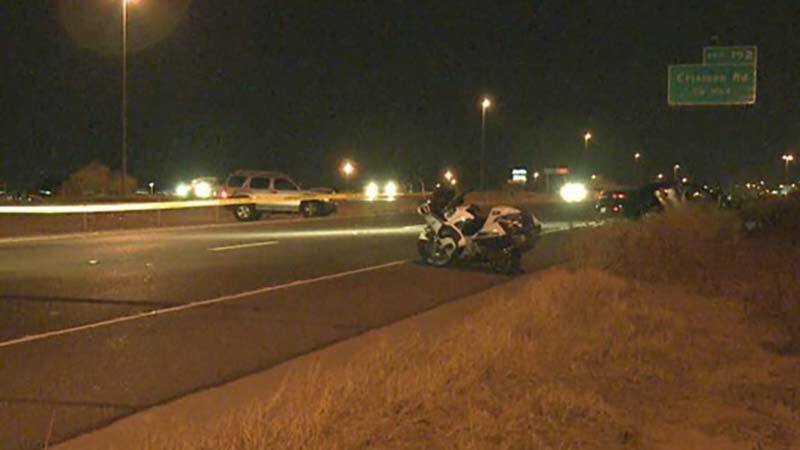 Mesa, Arizona—A wrong way driver on U.S. 60 sent three people to the hospital Wednesday night after making a u-turn on the freeway. Arizona Department of Public Safety received several 911 calls just before 9:00 p.m. Wednesday night reporting an elderly woman driving a silver Nissan Xterra had made a u-turn on U.S. 60 near Power Road. Her vehicle was headed east in the westbound lanes. She side-swiped a gray Toyota Prius, then slammed almost head-on into a black Chevy Malibu. Meanwhile, the Prius continued moving and was struck by a white Chevy Silverado. Three people were hospitalized for treatment of their serious, but non-life-threatening injuries. A fourth person had minor injuries. Westbound lanes of the freeway were shut down near Signal Butte Road. All lanes reopened early Thursday. DPS accident investigators have not released the identities of those involved as their investigation continues.